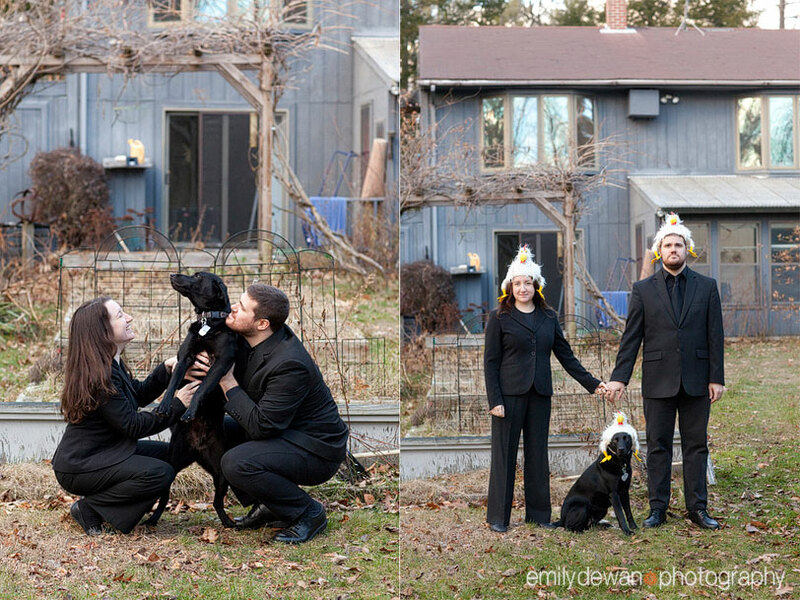 I helped my sister and her husband again last year for their holiday card. 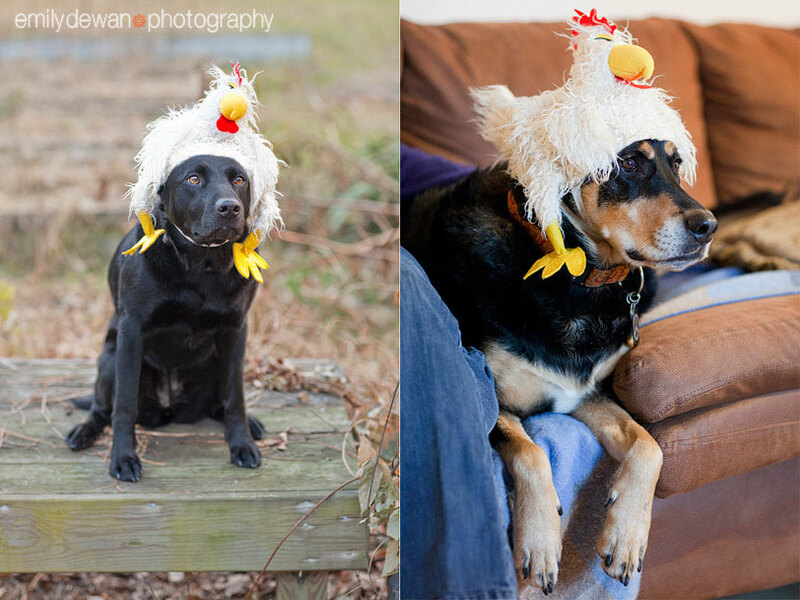 I’m always a fan of something that will stand out on a wall full of cards, so I suggested a chicken hat. They decided to dress in concert black for the shoot. Their final choice was the one with just Lucy (on the left). While Cooper (on right) was visiting, I thought it was only fair that he be included in the dress-up fun. What fun holiday card ideas have you seen? I’d love to hear!